With the free-to-play conversion of the game, CCP also announced that they are reworking the whole approach to new capsuleers of New Eden. The new „Inception” phase will represent a completely new story driven beginning to EvE online! Inception is the first phase of a storyline driven campaign that teaches new players the foundations of becoming a capsuleer while immersing them in a storyline with an unravelling mystery to solve. This campaign sees players participate in numerous excursions for both the Empire and the Sisters of EVE (SOE) and ends in a battle where they get to fight alongside their empire against the Drifters. The Empires of New Eden will be placed at the heart of Inception. The choices you make are important and where better to start than with your choice of faction? Players will be accompanied by a voice-acted Empire mentor that will get you up to speed on who the Drifters are, what has happened to the rest of your fleet and what is expected of you. The mentor is a strong character, archetypical of the empire you choose, and will deliver a different emotional flavor to your experience depending on your empire selection. Additionally, you will be accompanied by your friendly onboard AI, a new and expanded Aura, that will also be voice acted and will walk you through how to achieve your tasks and learn the game. Aura will have a powerful triple guidance system of voice, text and highlighting that will improve initial guidance in the game. Not to mention that Aura is a delight to hang out with. The UI highlighting tool has also been improved to help it fit more with the visual style of EVE and also add extra functionality. Aura will now be able to use the UI Highlighting for the majority of the tasks she gives. This should really help new players understand where things are located on the UI and how to find items both in space and in the overview. With Inception, EvE is shifting from the current Opportunities NPE (new player experience) to Operations and Tasks. Operations and Tasks will be used to create a storyline driven experience for players where the mentors will give context and backstory about the operations and Aura will deliver the tasks to complete. This is just the first chapter of a much larger system coming out in a later release. These sites will be used to help create the unfolding storyline for the new player and to help them master piloting a starship. As Inception is all about working with your Empire, the Research Facility, Assembly Point and Hidden Drifter Zenith are different for each of the 4 major factions. New environments have been created for the sites and the Hidden Drifter Zenith also features NPC AI with a large battle happening between Empire and Drifter fleets. A new rewards structure has also been created for new players. One of the goals was to use rewards to teach players more about the game mechanics and also to set them up for success by teaching them ways to earn their own ISK or build their own items rather than just gifting everything as direct rewards. 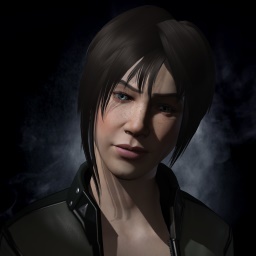 For example, ISK rewards come from NPC bounties rather than just being gifted at the end of the mission and one of the tasks also requires new players to build their own data analyzer. A new 'Mini Skill Injector' will also be introduced to gift to new players during the first few hours of their Inception experience. This Skill Injector cannot be bought or sold on the market, can only be used on characters with less than 750,000 skill points, and it will give new players 80,000 unallocated skill points. It is also used as a training opportunity to bring characters from Frigates 3 to Frigates 4. All existing players are encouraged to try out the Inception NPE on the Singularity test server next week, but you will need to create a new character to play through the storyline. Just imagine all those newbies jumping into T1 frigates and swarming some tryhards in null LOL. I can't wait to see some stiff-up people get their precious ships blown up by a bunch of new players that can hardly fly anything. The whole appeal of a sandbox is that you make your own stories. But it's always cool to have some reachable lore stuff right ingame so you don't have to go and google stuff that's happening around you. Hopefully they wont stop on NPE an will continue with PvE storylines!